*This is a used Dualshock 3 controller and has been tested to work perfectly. 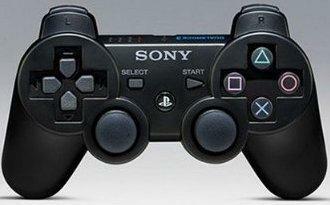 Official Sony PS3 Dualshock 3 wireless controller. Does NOT come with a USB recharge cable. Purchase a second cable to charge two at once. Pressure sensors that rumble with each action making every impact feel like you're right in the game. Sixaxis highly sensitive motion technology senses your every move. The PlayStation 3 system can support up to seven wireless controllers at one time. Can be charged at any time through the PlayStation 3 system using the controller's USB cable.